For a horse and rider to perform at their best, the rider needs clear methods of communication. Two time Olympic silver medalist Anne Kursinski tells us how it's done. Lighter, softer, and getting a much earlier handle on the jumps. That how most of participants in Anne Kursinski's jumping clinics describe the impact that this two-time Olympic silver medalist has on their riding. In this article, we are going to unpack each of six key steps that she shares with her students and readers for becoming a champion. 1. Believe it or not, your horse is trying to cooperate. ​Kursinski puts it this way: "Most of the time, horses want to do what we tell them to do. So it’s a matter of understanding what you’re asking them and how you’re asking it. Are you sending mixed messages? The wrong message? And, when you know the right message, are you communicating it in a way your horse can understand?" 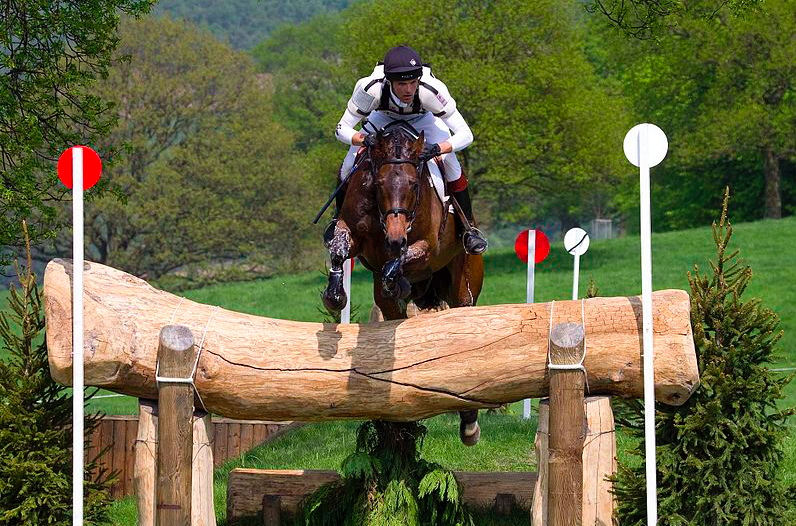 To put it more succinctly, if you're not clear how you plan to jump the course, how can your horse know what to do? ​2. Get it right in your mind first, then get your body involved. According to Kursinski (and most effective riders), the first step in controlling your horse is controlling yourself—your thoughts, your emotions and your body. If you don’t know what you want out of your time with your horse, there’s no way he’ll know. To do this, you need to start by clarifying your own intentions. “What am I looking for?” Kursinski asks before schooling or competing her horse. If it’s a jumping course, she rides the whole route in her mind first, adjusting for the abilities and tendencies of the horse one which she will be competing. The time taken to visualize jumping the course pays off in terms of riding and jumping accuracy. She also points out that it all begins with your breathing. Horses are keenly attuned to the breathing patterns. Sharp intakes signal danger, relaxed breathing signals safety. 3. Knotting up the reins and using a driving rein to fix rein contact. You may be surprised that Anne Kursinski asks riders to knot their reins several inches from the buckle while schooling. You then hold the reins in front of that knot using a driving rein. Believe it or not, most Kursinski clinic participants love this technique because it dramatically improves their rein contact. Why in the world would these things work? You can read more about these techniques here. ​4. Control your own body, and control it well. Kursinski emphasizes that, “If we can’t control our own body, how can we expect to control our horse’s body?” You can buy every gadget, try every bit, work your horse over cavelletti and jumps until you are both so sour that neither of you wants to ride into an arena again. But none of that will matter unless your body and the horse's body are working in unison. A stable and effective body position allows you to communicate and influence your horse AND to respond instantly to whatever the horse is telling you. That requires communication between horse and rider. Read more about Kursinski's tips here. ​5. Your horse can't jump well unless you sight the jump early—much earlier than you think is necessary. Riders usually don't look at the jump early enough for Kursinski's liking. “Trying to jump without looking at the fence is like trying to hit a tennis ball without watching the ball,” she points out. Kursinski emphasizes the necessity of looking at the second jump while still in flight over the first jump. This allows you to decide whether to bend your horse out toward the rail so that he approaches the jumps straight on, or to angle your horse's approach. “Look sooner, keep your eye on it like a laser beam, see your distance and follow to it,” she urges. 6. Skip stride counting at your peril. Aiming your horse at the jump properly is only part of jump preparation. The next crucial step is instantly knowing how many strides you have to get to that jump. In advanced schooling courses, this usually varies from six to eight strides. You have to be able to see this instantly, not guess as you are cantering toward the jump. This is why stride counting is so crucial—it improves your ability to see that distance in terms of your horse's stride lengths, and to quickly decide whether you need to add in a stride or two prior to the jump. Most of us are familiar with counting strides to improve our ability to judge these distances. Kursinski recommends counting up (1, 2, 3 …) rather than counting down (8, 7, 6…) as she believes counting up more consistently improves the ability to judge distance. An exercise that she strongly recommends for developing this skill is working over a small jump on a figure eight. This forces the rider to alternate between left and right approaches to the fence. She recommends that riders begin by counting just one stride before takeoff, and then progress one stride at a time, to eight strides before. The video above shows how this is done. And there you have it—six key steps that are essential for reaching your jumping goals.